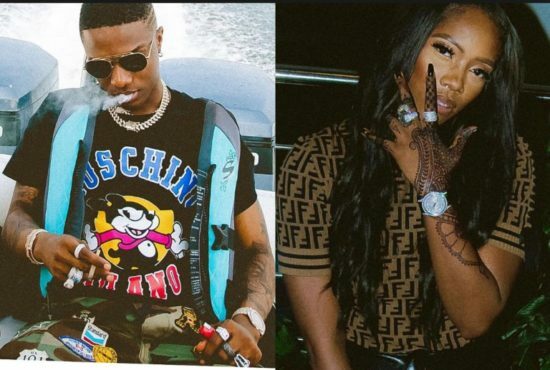 Nigerian musician and mother of one, Tiwa Savage has finally broken her silence on allegations that she was secretly dating fellow musician, Wizkid. The duo were rumoured to be dating after they were seen together getting emotional and cozy in several pictures that surfaced online. Reacting while speaking to Soundcity radio 98.5, Tiwa dismissed the allegation stating that the relationship between the two wasn’t romantic in any way and that the two have never had such an interaction. She added that she ignored all the rumours surrounding the two and that there was no pressure on her: “I heard all sorts of stories about Wizkid and I, but I chose to ignore them.